White chrysanthemum flowers of Hang Zhou is processed using the latest drying method to produce a tea that is beautiful in appearance and carries a pure and aromatic taste. The flowers can be brewed alone or added to any tea such as black and puerh for a special blend of tea. 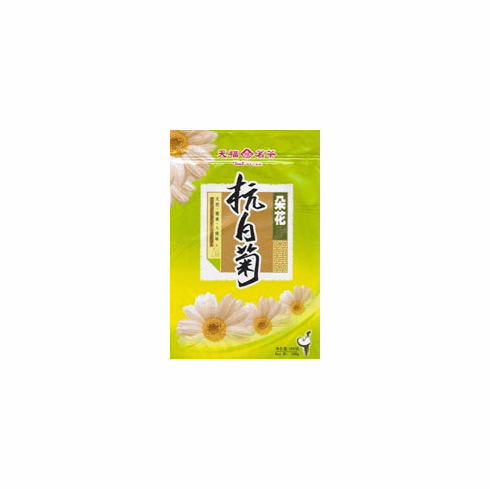 This bag contains 3.53 ouces (100 g) of of dried loose white chrysanthemum flowers. Shipping weight is 0.25 pounds.